Sunlight is essential energy for green plants to prepare their food through photosynthesis. This is childhood science concept and everyone remembers it. But now I am saying this because, science reached fashion here. 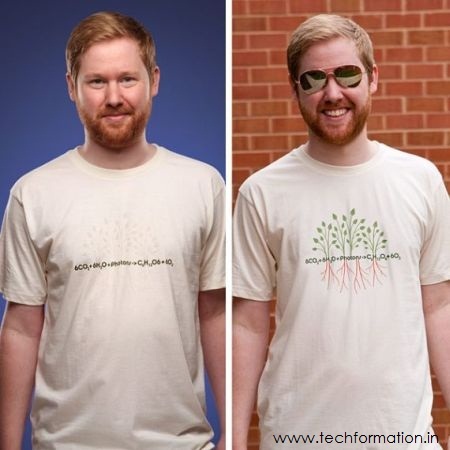 Based on this concept, one guy designed shirts based on photosynthesis UV technology. So, under the sun the shirts showcases green trees on the surface and off the sun, it fades away. Innovative! !